"...the real deal when it comes to writing"
David Brewster is an experienced and professional ghostwriter of company history, business books and memoirs. Credibility is one of the strongest points of difference you and your business can develop. And there's no better way to build credibility than to write a book. Capture your expertise in a book and suddenly you'll have the most powerful business card in the room. Use a good writer to help you and it doesn't even need to take much effort. Is your company about to celebrate a significant milestone? A twentieth anniversary? Fiftieth even? Perhaps it's just time to capture your organisation's story while the people with the memories are still around? I can get this job done for you: from first idea right through to a finished book. Your story can be captured and published in as little as six months. Every experienced business owner and senior executive has learnt plenty of lessons along the way. Sadly, too many of those lessons are ultimately lost because they are never written down. Why not tell your story and share what you've learnt with the next generation? I can help you do so with minimum effort on your part for maximum result. Have you ever felt a yearning to capture your story for future generations, but have no idea where to start? Do you tell yourself you're not a writer and use that as an excuse? The truth is there has never been a better time to write and publish your memoir, whether you only want to share it with the family or you feel it deserves a wider audience. And you don't need to be a writer in order to do so. Peter Newlinds worked for ABC Radio Grandstand for 18 years through the 1990s and 2000s. His name and voice will be familiar to cricket followers around Australia, and also to the followers of many of the various sports the ABC has covered over the years. 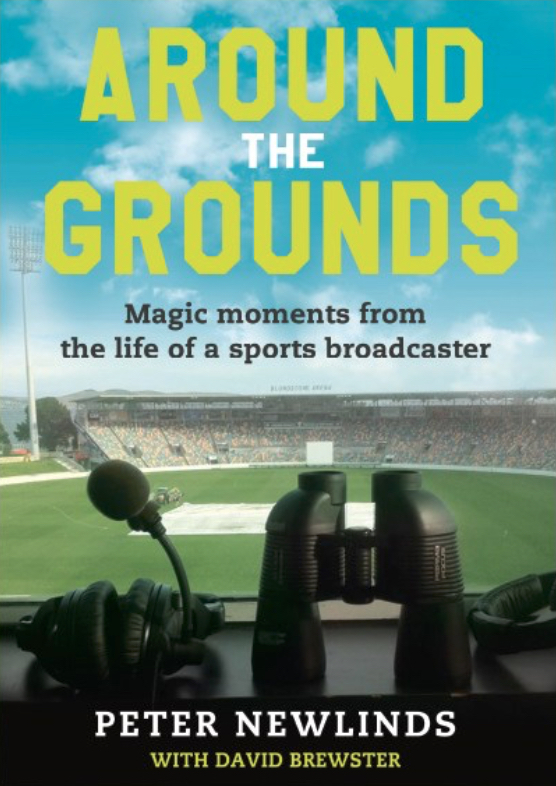 In Around the Grounds, Peter shares memories and insights that will fire sparks of nostalgia in every Australian sporting enthusiast. From teenage years working inside the grand scoreboard of the SCG, to the pressure of auditioning for the ABC in front of a childhood hero, and then through a long career with the national broadcaster. It’s the story of the sporting fan who manages to live out the ultimate sporting fantasy: working as a commentator with one of the world’s great sporting broadcasters. Co-written with David Brewster. Published August 2018 and widely available. Scattered Pearls opens in pre-revolutionary Iran, where Sohila Zanjani grew up under the threat of violence, intimidation and control at the hands of her father. Resolving never to tread in the footsteps of her mother and her grandmother, both survivors of domestic abuse, Sohila tried to find a new life for herself on the other side of the world. But to her horror she discovered that living with her father had been gentle in comparison to the reality of her new married life. Spanning more than a hundred years, Scattered Pearls tells the true stories of Sohila, her mother and her grandmother, and the injustice and abuse meted out by the men in their lives. It is a story of cultural misogyny in both Iran and Australia, and of an ongoing search for a loving, equal relationship. Co-written with David Brewster. Published April 2016; Second edition published April 2017. Based in Melbourne, Australia, but working anywhere, David provides a high-quality writing service to organisations and their executives, and to individuals with a story to tell. Contact David to discuss your needs, or learn more about us. Want to get your book written? Put down your phone.